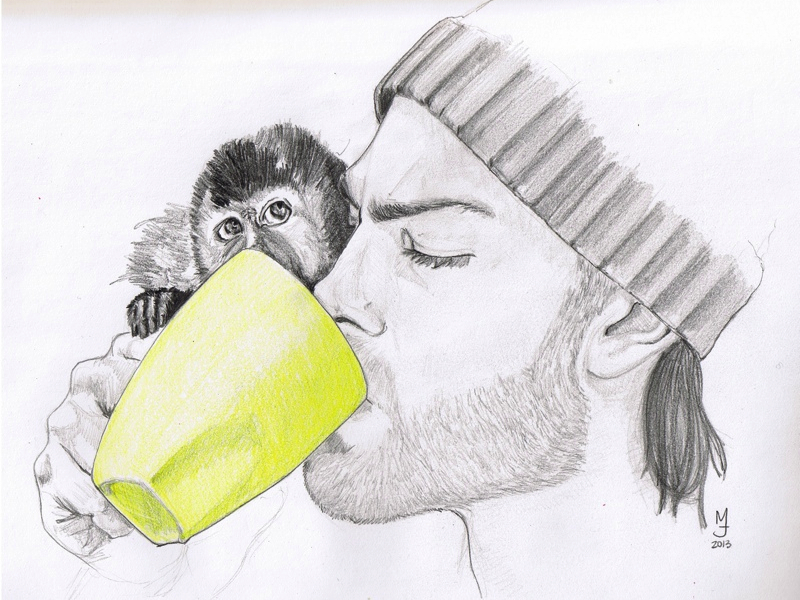 You can almost see the monkey (a tufted capuchin) think about the taste of the beverage in this image. Capuchin monkeys are said to be the most intelligent of the New World Monkey. They can use tools and teach their offsprings to do the same. The most fascinating thing about them is the possibility of them being self aware, or close to it. According the the research of Dr Frans De Waal, a dutch primatologist and ethologist, capuchins recognize that the "monkey in the mirror" is not another monkey behind glass nor is it a stranger. During their experiment, the found that female capuchins would find themselves almost enticed by their reflection and male capuchins would freak out and try to escape the room.